It’s National Blood Donor Month! 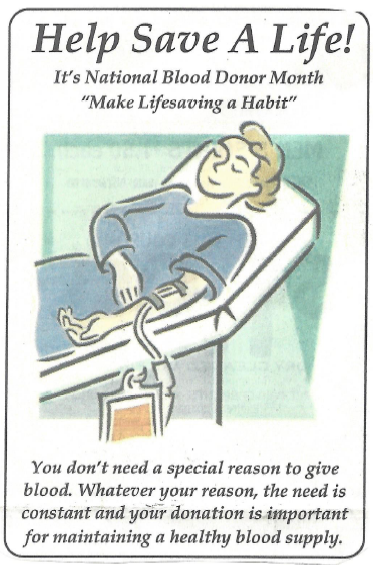 January 23, 2014 - It’s National Blood Donor Month! January is National Blood Donor Month! Help save a life by giving blood. Visit the American Red Cross website for more information on how you can help and where you can find a blood drive near you.